What Happened, Miss Simone? (2015) on Netflix Switzerland. Check worldwide Netflix availability! Unlock What Happened, Miss Simone? 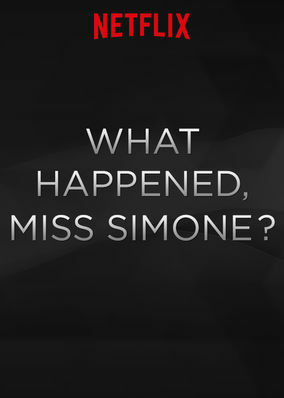 If What Happened, Miss Simone? isn't available in your country, or you are visiting a country where it isn't, there is still a way to watch it! Using never-before-heard recordings, rare archival footage and her best-known songs, this is the story of legendary singer and activist Nina Simone. Nina Simone achieved fame, fortune and legend status. But she wanted more. She wanted equality.